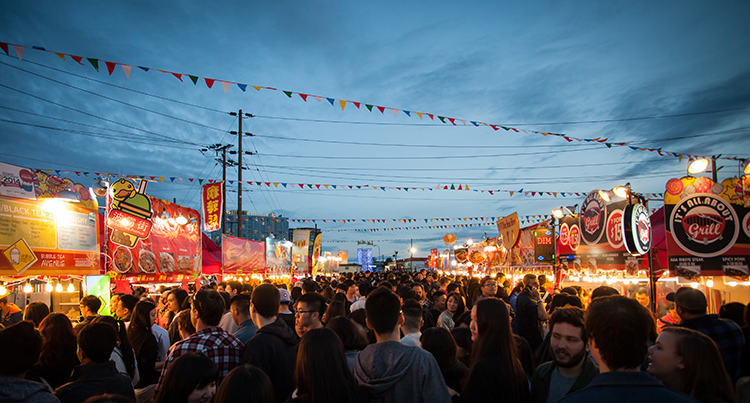 Image via Richmond Night Market. On May 17, the Chef’s Table Society of BC, Pacific Prawn Fishermen’s Association, and Fisherman’s Wharf will host a free celebration filled with food and entertainment for all ages, including free cooking demos. Tickets are also available for purchase for the festival’s feature event, the Spot Prawn Boil, which allows you to enjoy a plate of fresh spot prawns straight from the boat! To purchase tickets or to find out more, visit their website. The Red Bull Tour Bus is kicking the weekend off in Gastown. James Vincent McMorrow, who’s been featured at Coachella and SXSW, will be headlining the free tour this Saturday. The event is at Maple Tree Square and starts at 3PM. Tickets are free; to RSVP for the concert, click here. GO Fest is for everyone, from kayakers to music fans to artists! It encompasses outdoor activities, including golfing, bike riding, and water sports plus arts and cultural events such as a farmer’s market and film festival. Nita Lake Lodge is also hosting GO SUP today (Friday) at 2pm. A $15 ticket gets you a delicious BBQ and stand-up paddleboard demo. The event is on until 4:30PM and tickets are available at the lodge. For more information and tickets, visit Whister’s GO Fest. Only an hour’s drive from downtown Vancouver, visit Surrey to enjoy the biggest rodeo and fair in BC. There will be many fun and exciting events from art shows to live music, and go-karting for the kids!